In most recent news, the South African Parliament has backed a motion and has taken steps to expropriate or take land away from white South African owners to black South African owners without compensation. Unfortunately, this has caused situations of horrific violence, persecution, and in some cases murder. The Department of Home Affairs Minister Peter Dutton has taken special action and care to look into refugee and humanitarian options for affected South African farmers that have been subject to the extreme violence. Mr. Dutton told multiple sources that he is looking for ways for his department to “fast-track” visa pathways for affected South African farmers to come to Australia under humanitarian and or other Australian visa options. Mr. Dutton has already mentioned “…They integrate well into Australian Society, they contribute to make us a better country and they’re the sort of migrants that we want to bring into our country. 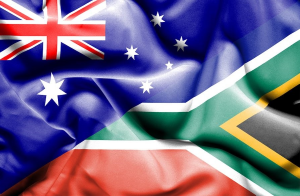 South Africans are a large part of Australian society and We at The Migration Place believes no one should be subject to such violence or discrimination. There are many Australian visa options you could be eligible for, for example, you could be eligible for Skilled Migration, Family Sponsorship, Student Visas etc! Luckily for you, we are here to help you with all if your migration needs! Want to find out how? Please note that this article does not constitute legal advice and The Migration Place makes no representations or warranties as to the accuracy of any of the information contained herein. The Migration Place provides this article for information purposes only and it is not intended to replace legal advice. The information (or the lack of information) contained in past, current or future articles by The Migration Place should not be relied on as legal advice or immigration assistance. Visitors to the website of The Migration Place seeking legal advice or immigration assistance are encouraged to contact our office and consult with a lawyer or registered migration agent. The Migration Place expressly disclaims any liability or loss, arising at law, in equity or otherwise, for any information published or not published on its website. If you have a legal query or concern, then please contact our office to consult with a lawyer or registered migration agent – there is no substitute for considered legal advice based on your individual and unique circumstances.